In September 2017 UCL IEDE hosted the Combined Heat, Air, Moisture and Pollutant Simulations (CHAMPS) in collaboration with the University of Nottingham. UCL IEDE hosted the 4th IEA EBC Annex 68 Expert Meeting & the 14th International Forum and Workshop on Combined Heat, Air, Moisture and Pollutant Simulations (CHAMPS 2017) in collaboration with the University of Nottingham (11–13th September 2017). 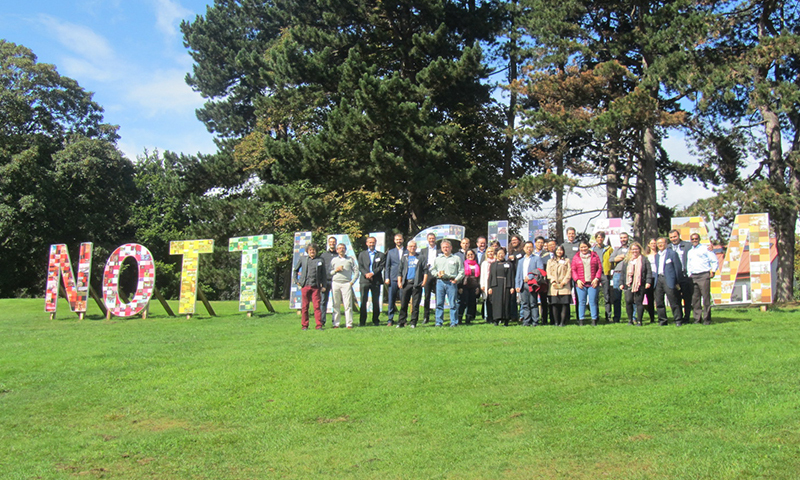 The event was organised by IEDE, which is a participant in IEA EBC Annex 68, and took place at the University of Nottingham to provide enable delegates to also attend the 38th AIVC conference. Around 30 delegates from 13 countries representing 20 academic and research institutions attended the event. CHAMPS 2017 focused on major challenges facing the combined heat, air, moisture and pollutant simulations for the design and operation of sustainable buildings, highlighting the most recent progresses, and identifying opportunities for further collaboration in CHAMPS research, development and applications. IEDE’s contribution to IEA EBC Annex 68 is predominately related to subtasks 4 and 5 which are closely linked to the ongoing activities within the TOP research project, a collaboration between UCL and Tsinghua universities on Total Performance of Low Carbon Buildings in China and the UK. Professor Mike Davies, Professor Dejan Mumovic, Dr Jonathon Taylor and Dr Esfand Burman from UCL IEDE attended the event. Dr Jonathon Taylor also gave a presentation about IEDE experience in coupled heat, moisture, and pollutants modelling in EnrgyPlus to delegates attending CHAMPS seminar. The next IEA EBC Annex 68 Expert Meetings will take place in Shanghai (March 2018) and Syracuse (September 2018).